dealing with competing interests of step-siblings and step-parents, half-siblings, etc. Mediation is especially well-suited to resolving these kinds disputes, with its ability to attend sensitively to the physical, psychological and emotional realities of multiple players, and to promote healing and reconciliation among feuding family factions. By contrast, traditional litigation is not equipped to address the human needs that typically underlie elder- and inheritance-related disputes. Courts are constrained to frame issues in strictly legal terms, and are limited in terms of the remedies they can order. Other advantages of mediation in such cases include the ability to effect a global settlement of what may be multiple legal cases in different jurisdictions, enormous cost savings (insurance is rarely available to pay attorneys’ fees in these cases), maintenance of privacy (court proceedings are matters of public record), and the likelihood of reaching a more satisfactory agreement crafted by the participants than one imposed by a judge or negotiated by lawyers. My approach to elder, probate/inheritance, and estate planning mediation focuses on (1) getting to the interpersonal roots that often fuel and complicate such disputes, including long-standing sibling rivalries and ancient family resentments, and fostering understanding, healing, and true resolution; (2) balancing navigation and healing of family dynamics with an understanding and application of the legal rights and obligations that are also present in a given case; and (3) coming up with creative solutions that work for everyone and that might not be available in court. In these kinds of cases I tend to do a great deal of pre-mediation work, including meeting separately with all parties to ascertain their real concerns, interests, and positions, determine the necessary parties to the mediation and the relevant information that needs to be gathered, discuss the feasibility of joint sessions, and identify the true goals and desired outcomes of the participants. I tend to create a detailed mediation plan in order to make the most efficient use of mediation time. 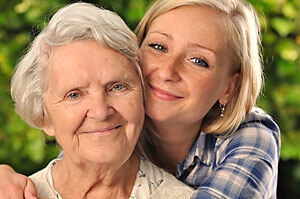 In elder cases I attempt to include the elder as much as possible, in order to maintain his or her autonomy and dignity.